Football is often more than just playing on the pitch and grass. To reach the next level you sometimes have to take football out to the streets and train by yourself. 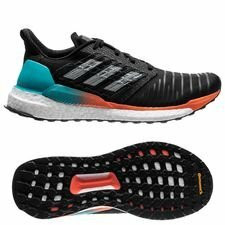 Running is a great way of training and exercising by yourself, and to give you the best possible condition while running, adidas has made the SolarBOOST running shoe. Get ready to outrun your goals and rise above your own expectations. 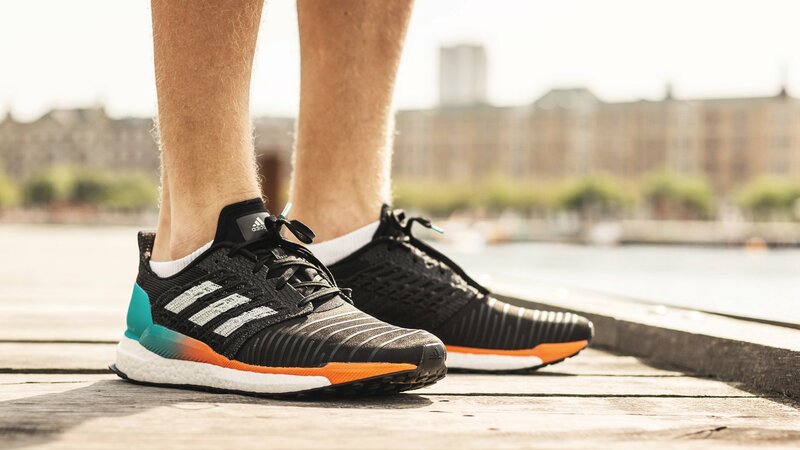 The adidas SolarBOOST running shoe is all about celebrating the power of running and its ability to elevate people’s lives. Running offers many great benefits, but it also gives confidence to people. SolarBOOST is all about celebrating the moments when the running crew finishes their run and each one of the members have reached their peak of confidence. Running should be considered as a journey towards the highest possible state of confidence. The SolarBOOST running shoe is built with focus on performance, support and comfort. SolarBOOST is made to help you discover the energy that lets your body do more than your mind gives it credit for. This is the mindset adidas has used when designing the running shoe. Furthermore, the new SolarBOOST is also inspired by rocket science, so everything detail and technology comes from this mindset. The upper is made by using a Tailored Fiber Placement technology, that uses thousands of tiny stitches to create a super-lightweight upper that supports your foot the right way. But what’s an adidas running shoe without BOOST? The SolarBOOST also has the famous BOOST technology incorporated in the sole! BOOST is known to give some of the most responsive cushioning ever, and it energizes your run from the ground. But to give more comfort adidas has made a new and supportive heel construction, that allows the Achilles tendon to move freely. This will provide with a more accommodating fit for all-around comfort. Ready to run that makes you rise? Then get your new adidas SolarBOOST running shoe right here.